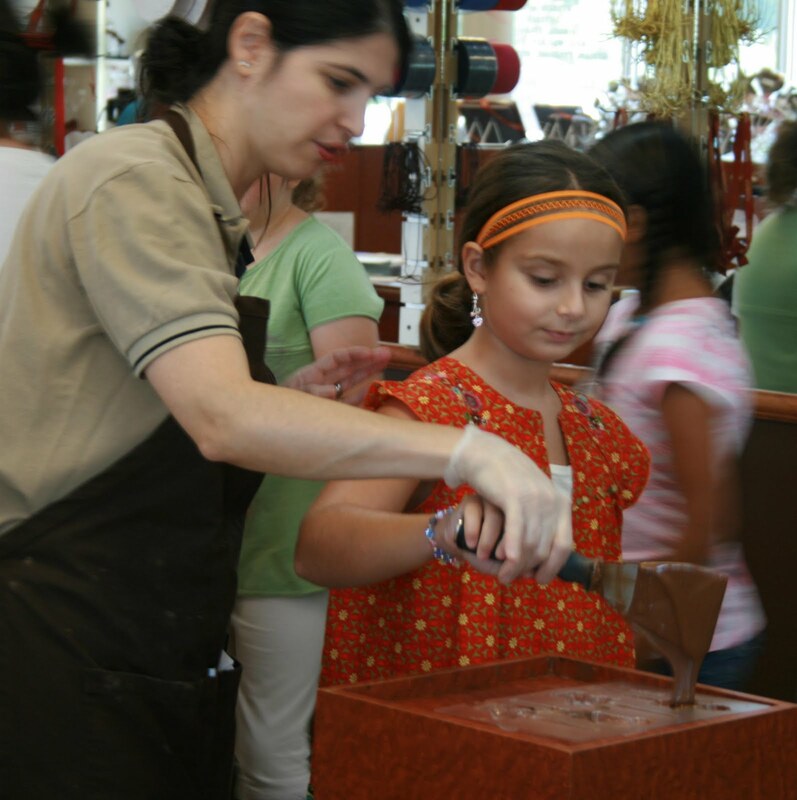 What a treat for children this summer to escape the heat, remain indoors, and continue using those mental and creative skills and learn how to make chocolate! At the Schakolad Factory in Davie, Florida. Dafne (owner) shows Arielle how to pour Chocolate in mold. Children can make their own treats, including a lollipop and a cupcake, and decorate goodie bags to take home. They'll also learn about different types of chocolate and how chocolate is made. Registration is required for any of the nine events over the summer and you can now pre-pay for a spot by telephone or in person. Hurry, last summer sold out quickly! Schakolad Chocolate Factory is the internationally acclaimed brand for fresh, handmade European style chocolates. Their signature chocolates are prepared with the finest ingredients and presented in the time honored traditions of quality, artistry and innovation. They invite you to explore the world of sweet possibilities.